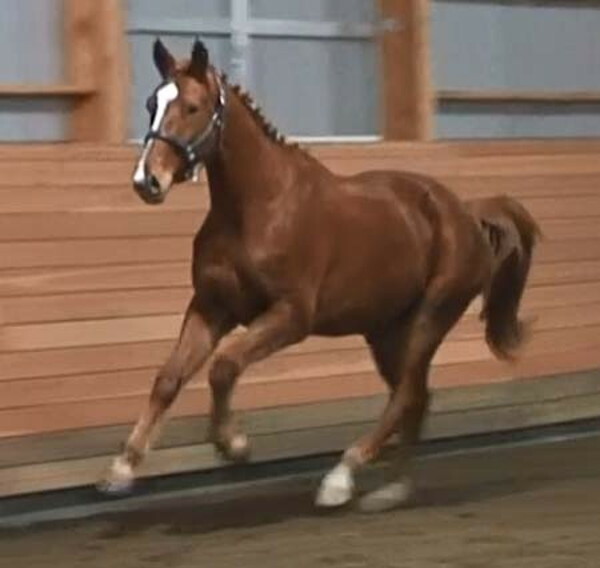 Red Wagon Farm is proud to offer for sale Geronimo R. Ronimo is a gorgeous 2011 Dutch gelding by the highly acclaimed stallion UB40. Ub40 has sired many international competitors and stallions. Geronimos Dam is VPS Atee. Atee was originally imported by Judy Yancey of yancey Farms after winning her three year old test and taking 2nd place in her 4 yr old test in Germany. Ronimo is the perfect combination of these two lines. Large framed with good bone and excellent feet. 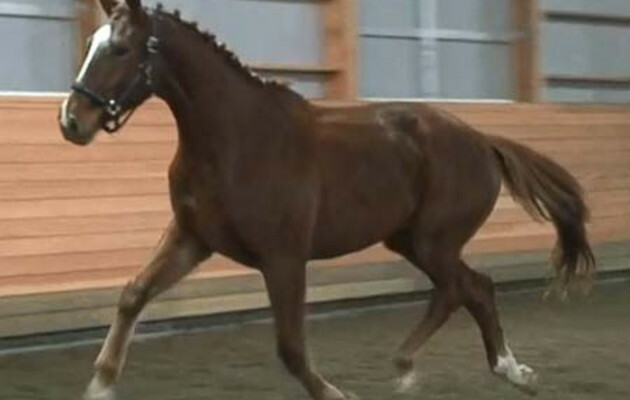 Built for dressage at the top levels with a high set neck and well developed shoulder, his highlight is clearly seen with his very active and powerful hindleg. 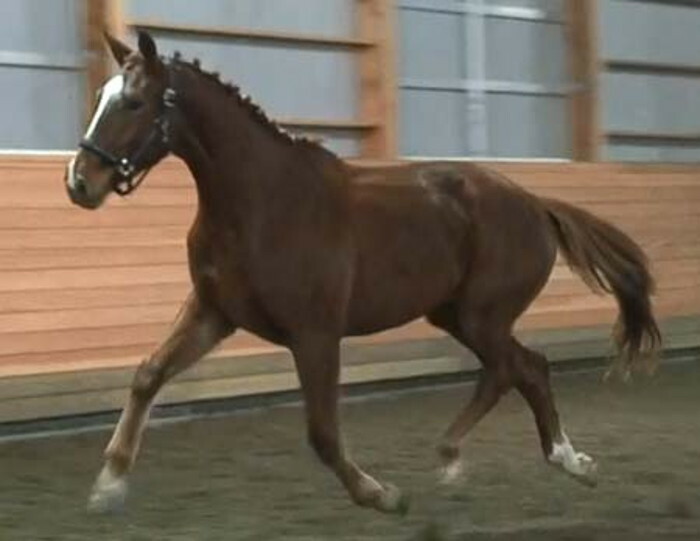 A clean overtracking walk, a breathtaking trot, and a well balanced canter. He is the total package. Ronimo lives outside during the day and in a stall at night. 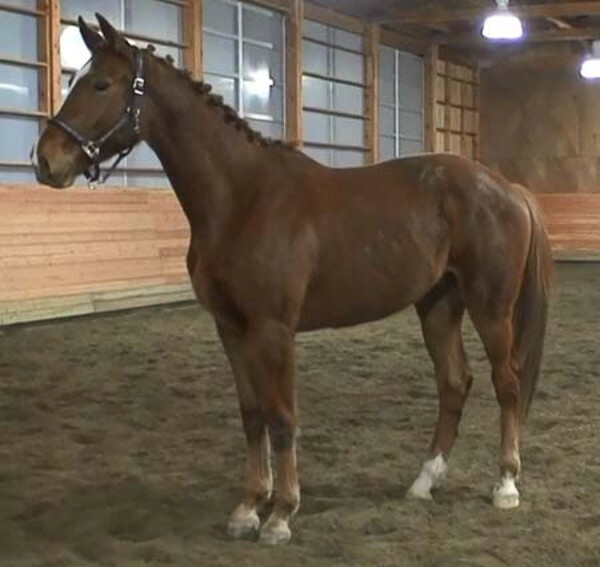 He stands well for the farrier and has begun work on trailering and bathing. Ronimo is curious and friendly and retains training sessions well. Because of his high quality we would love to see him go to a serious rider pursuing top sport. Price will increase dramatically once he is start under saddle this summer. Ronimo sticks 16.2 with a level and 16.3 at croup currently we expect him to mature in the 17-17.1 range. Prior to listing our horses we do a full set of digital radiographs. Ronimo has radiographs available for serious parties.